Ah, Halloween. The most wonderful Facebook time of the year. Unlike the common complaint, I LOVE seeing pictures of other people’s kids on FB. This is pretty much the reason I have not yet deleted my account. 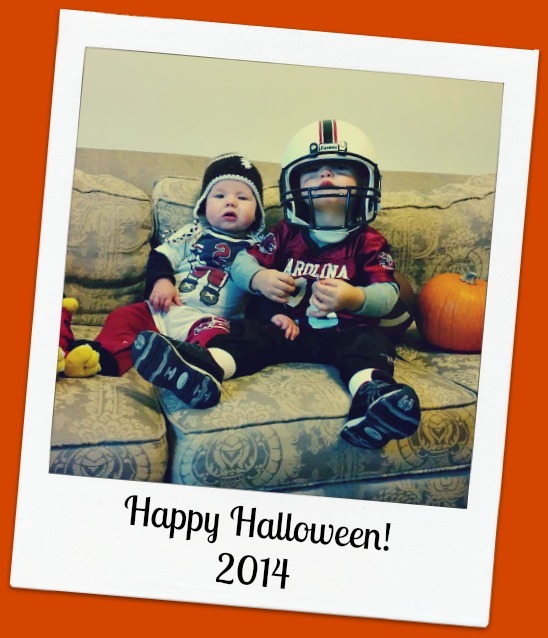 I am super psyched to see pics of all the kids in their adorable costumes. Here is my contribution. Halloween isn’t a big deal over here. I’ve seen a few decorations in stores. James and I went to dinner last night and saw a restaurant putting up a witches and things in the window. I thought, if you are bothering to decorate at all, why not do it before the 30th, but whatever floats your boat. James’s work had a trick-or-treating event for kids. People decorated cars and you went “trunk or treating.” It was pretty sweet. 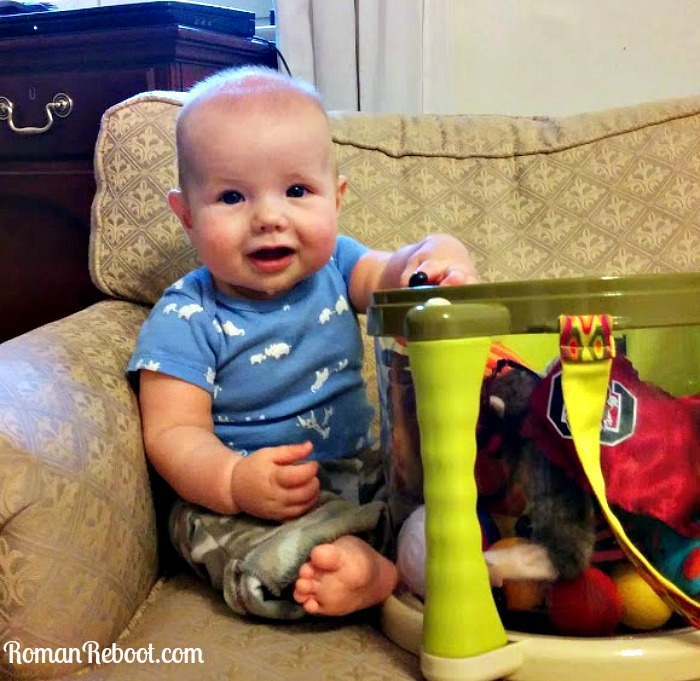 Henry got surprisingly into the tchotchkes from the carnival games. We were informed that Henry was in the “top 3” for the costume contest. Several of the judges were our friends so I’m pretty sure they just didn’t want to seem biased. We bailed shortly into the trick-or-treating because it got intense fast, but a very fun night. 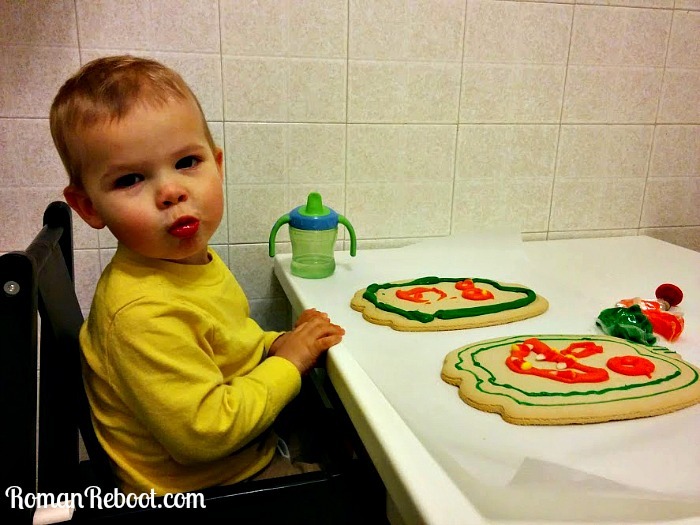 Henry and I decorated giant sugar cookies from a kit (thanks Nana!). Well, I mostly did the decorating. Henry did the eating. (There was much debate with my girlfriends whether the cookies were meant to be eaten or whether they are more like gingerbread houses. The packaging didn’t say to eat them, but it also didn’t say not to do it. And it lists ingredient so probably eaten? I can report that the cookies themselves taste pretty gross. Henry loves them.) I’m generally more into the process and really don’t care how things look, but I was frustrated that Henry had no interest in decorating the cookies before consumption. Come on, kid, can’t you just smear a little icing on? But then he’d have the icing bag up to his mouth funneling frosting. Oh, well. I carved a pumpkin today. (Note that I did not say we carved a pumpkin. More on that in a sec.) Even though I am not crafty or artistic, I am strangely into seasonal craft activities. I love to dye elaborate but deflicted looking eggs. Bring on the fireworks! 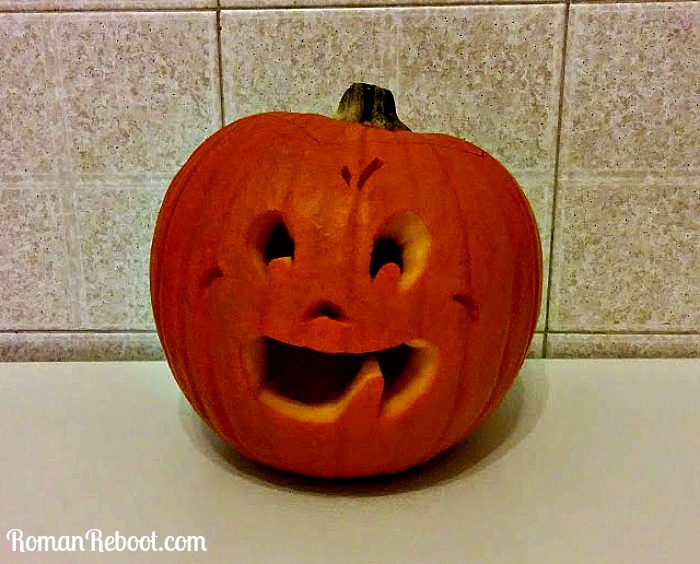 And I really really love to carve pumpkins. My pumpkin “skillz” have really come a long way. As a kid, I refused to touch the pumpkin guts. I spent WAY too long trying to scoop out the insides with a spoon and not let any of the detritus touch my hand. Now I can clean a pumpkin in two minutes flat. In years past, I am frequently the official pumpkin scooper because James claims his hand is too big to fit inside. And, you guys, remember the days before pumpkin carving kits? Here, kid, go nuts with this paring knife. But, oh, the kits rocked my world. First, I really like using that dotty stabber thing to make designs. I guess a pencil would work as well, but I think the planning is helpful. Also, I like to freehand these days, but the prepackaged designs provided great inspiration. Pumpkins can have eyebrows?? Before, I was definitely in an eye, eye, nose, mouth rut and I didn’t even know it was a rut. Until I saw the designs, I had no idea how far pumpkin carving could go. Remember this was in the PP era (pre-Pinterest). So today I thought Henry could help carve the pumpkin. He decided to take a morning nap. He didn’t actually nap. See, the only time he can have his pacifier is in the crib. He knows this so sometimes he likes to just go hang out in there. Instead of feeling hurt that my toddler would rather sit alone in a darkened room with his pacifier than hang out with me or wait for him to emerge, I decided to just enjoy carving my pumpkin. So not the enjoyment of seeing a child experience something new, but the enjoyment of doing what you want and actually finishing something. I decided to use Mac for pumpkin inspiration. Not in a sit-here-kid-and-let-me-pumpkinize you kind of way, but just going for the essence of Mac. That kid is just so darn happy. The kids will be trick-or-treating in the building tonight, and then I am ready to stick-a-fork-in-it done this Halloween. What are your Halloween plans? Don’t forget to post those adorable kiddo pics!